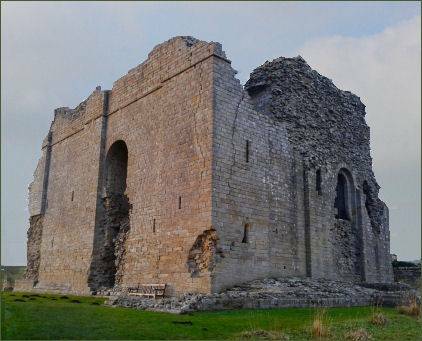 The historic ruins of Henry II's impressive medieval keep at Bowes Castle is situated at the picturesque village of Bowes and guards the strategically important Stainmore Pass. The pass runs across the Pennines between the counties of County Durham and Cumbria, one of the few upland passes to link England and Scotland, it remained important throughout the medieval period. The castle occupies the site of the Roman fort of Lavatrae. In around 1136, Alan, Count of Brittany constructed a timber castle in the north-west corner of the old Roman fort. The castle later passed to his son, Conan, and when he in turn died without heirs to succeed him in 1171, it was claimed by King Henry II who rebuilt the castle in stone to a design of Richard the Engineer. The castle's keep was a three-storied structure measuring 82 feet (25 metres) long, 60 feet (18 metres) wide and 50 feet (15 metres) high, and incorporates masonry from the earlier Roman fort. It was divided to form a long hall and a solar. The two upper floors and the basement, which provided secure storage space, were linked by the spiral staircase contained within the thickness of the wall at the south-east corner. Smaller rooms and passageways to latrines were constructed in the thickness of the walls. The north-east room was a kitchen. 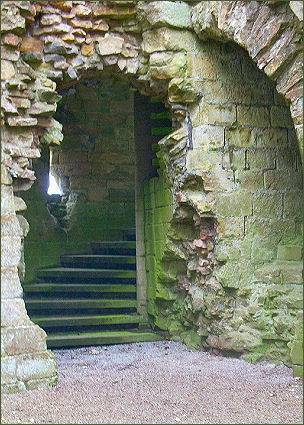 The spiral stair continued up to the second floor, which is now inaccessible and ruinous. A ditch formed an inner defensive bailey around the keep, with the ramparts of the old fort forming a larger, outer bailey. A planned village was built alongside the castle. During a widescale revolt against Henry II, King William the Lion of Scotland invaded England in 1173 and Bowes Castle was badly damaged during the course of the raids. Repairs were carried out on the structure in anticipation of further attacks. The followng year King William of Scotland besieged the Bowes Castle, but was forced into retreat after the arrival of a relief force led by Henry's illegitimate son Geoffrey Plantagenet, then the Bishop of Lincoln. In 1174, at the Battle of Alnwick, during a raid in support of the revolt, King William recklessly charged the English troops himself. He was unhorsed and captured by Henry's troops led by Ranulf de Glanvill. Henry II imprisoned William the Lion until a peace treaty was negotiated. Henry's youngest son, King John granted control of Bowes Castle to Robert de Vieuxpont, Sheriff of Westmorland, Vieuxpont retained control of the castle until 1228. King John stayed there himself in 1206 and in 1212, and the castle was briefly used to house John's niece Eleanor of Brittany, who as the daughter of John's older brother, Geoffrey, Duke of Brittany, had a greater claim to the throne than the king himself. Henry III granted the castle to Duke Peter of Brittany in 1232, and then to William de Valence. 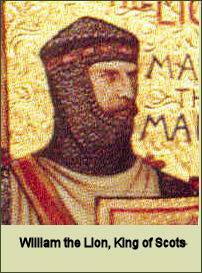 In 1241 Peter II, the Count of Savoy was created Earl of Richmond and was then given Bowes by the king. The castle remained in the hands of the Earls of Richmond until 1322, by when it was in a poor state of repair. King Edward II then gave Bowes Castle to John de Scargill, after which the tenants of the Earl of Richmond rebelled and attacked the castle, burning part of a hall, they also drank four tuns of wine and stole armour, springalds and other goods. Conflict with Scotland led to further raids against the castle and the surrounding manor, the neighbouring fields were abandoned as a result. Still in a ruined state, Bowes Castle was reclaimed by the Crown in 1361; between 1444 and 1471 it was controlled by the powerful Neville family,before reverting to the Crown once again. King James I sold the castle in the early seventeenth century and the remaining fortifications were dismantledin the mid seventeenth century after the English Civil War. By 1928, the castle was in a very poor condition, Lady Lorna Curzon-Howe, facing death duties on her estate, agreed to pass the castle into the care of the Office of Works in 1931. The castle now stands in a field surrounded by a moat on two sides. The keep is the only surviving part. It is rectangular in plan, with broad, flat buttresses at the corners and halfway along each wall. .Bowes Castle is now in the care of English Heritage. The closest car park can be found in Bowes Village.